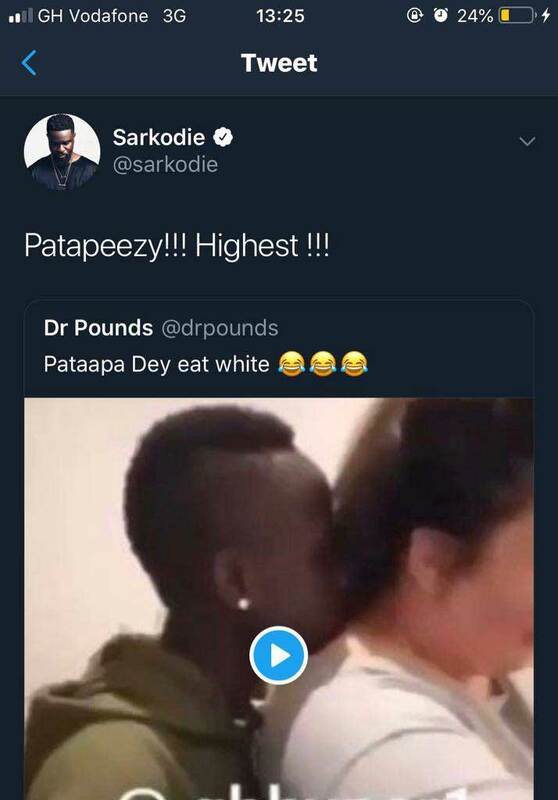 Few hours after news of Patapaa’s new white girlfriend reports went viral, The celebrated African rapper from Ghana, Sarkodie has taken time to shower praises on Patapaa. Patapaa is on a musical tour in Europe and he is not leaving any stone untorn in the having fun and he is really having a great time. In Germany, Patapaa Amisty got a new white girlfriend and he has been flaunting his new girlfriend on social media; there have been many wild reactions. In some of the videos, Patapaa is lying in bed with his new catch whiles in others they are in kitchen cooking but they kept stealing kisses from time to time. Well, Sarkodie has also reacted. Sharing the video of Patapaa and his girl kissing, the CEO Sarkcess Music wrote: Patapeezy!!! Highest!!! If you know Sark and knows how “Highest” means to King Sark, you will appreciate the short messaged being conveyed by the king of rap. Back in Ghana, Queen Peezy, the girlfriend of Patapaa has collapsed upon seeing the videos. She was rushed to the hospital last night. 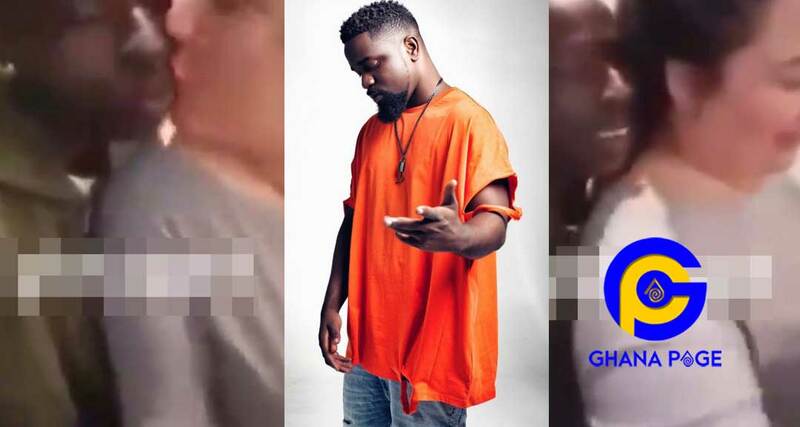 The post Sarkodie praises Patapaa for falling in love with a white woman appeared first on GHANAPAGE™.